If you have ever wondered about how to hack facebook account, then you are at the right place as we have some of the tips which you can go for as you are not alone in this process if you have ever wondered. There literally are thousands of people who actually search for the process to hack a Facebook account in 2mins. This process really isn’t as difficult as most people think. If you want to know, there are really a lot of ways which help you to hack any facebook’s passwords and the following methods are going to help you. Let us dive straight into them. 1 How exactly this method works? This method is one of the most significant methods which you can go for as it is another common technique with which you can get the idea of hacking an fb account and get the best out of it. There are ways to hack facebook password and most of the people who don’t know how to hack FB accounts and this technique will help you do it. How exactly this method works? This process is simple as all you have to do is that the hacker goes after a weaker website where your target is a member and then gets access to their complete database username and passwords. This is probably the only reason that people are actually advised to stay away from low-quality websites from third parties. Even popular and reputable websites on the internet can be this dumb for security for hacking and you also don’t need a lot of knowledge about hacking too for this. Many website developers on the internet make the mistake to store passwords in a database without any encryption and this actually makes it easy to hack facebook password to do that by following few simple steps. Facebook passwords can be hacked easily as they are used multiple sites and that way, they are more vulnerable to hacking. Phishing is one of the best methods in all this process and is actually one of the most working methods as it is a gateway to hack facebook password instantly and this is a very common method used by many users who want to hack facebook password. It is really easy and you don’t need any hacking knowledge for this or to hack fb accounts. Phishing is such a method which has gained popularity as everybody can create a fake phishing page and steal sensitive information, not only from fb but also from different sites. These pages are the clones to the real fb pages and work instantly. If you’re wondering how to make it work, it would actually include you in creating an exact duplicate of some web page in your browser and that too with a reason to hack facebook password instantly. Also, if you want to hack original fb accounts, you need to have a fake fb page created that will look similar like the original page. In this process, when anybody visits that page, they believe that it is a real login page, so they will put down their username and facebook password and as soon as they do that, you can easily hack facebook password instantly and monitor their activities. It is really a simple method and anybody can do it. It looks perfectly legit. Most of the people won’t suspect this page and won’t even doubt it as it has an https prefix with a green color secure icon which makes everybody believe that everything is legit. Open your browser and go to Shadowave.com. Now you have to sign up for Shadowave to get your ID. When you log in to this website then you can easily see the scamas1 and scamas2 and you can easily copy any link from any of these two schemas. Now just copy any link you want and send it to the victim. Now you can easily check victim ID and password in the “My Victims” option. However, just note that when someone opens this link, it will give them different phishing links and you can also create your own links which saves everything and just try it first on your computer. If you want to hack someone’s facebook account, then just check out the MxSpy app for that and with this tool, you would get the shortest way towards how to hack facebook messenger. MxSpy is an application which is quite easy to use as it is easily installed and really has a lot of features. As soon as you install this app on the phone you want to hack, then you can proceed towards how to hack facebook. You just have to sign up and create an account at the app’s website and then you get all the info. MxSpy is such an app that gives you the remote controls and above all, it is a really reliable app and has a really good user experience. This app would actually teach you how to hack someone’s facebook as this app has really numerous quality features. You will always be able to see all the sent and received messages in the targeted phone. This app lets you monitor and check all call logs in the phone. You can also see messenger chats and group chats of facebook and other apps like viber, skype, snapchat, kik or whatsapp easily. A couple of other great features are there in this app as it has to monitor online activity and inspecting photos and videos on the phone which you hack. MxSpy is one of the best apps on the internet that would allow you to hack any facebook messenger and it also comes with a free trial and you get to know what it offers. People should know that all those facebook apps which most of the people use as third parties are used by many customers are not owned by Facebook and are really testimonies. They are usually owned by third parties and you can’t trust them for sure. 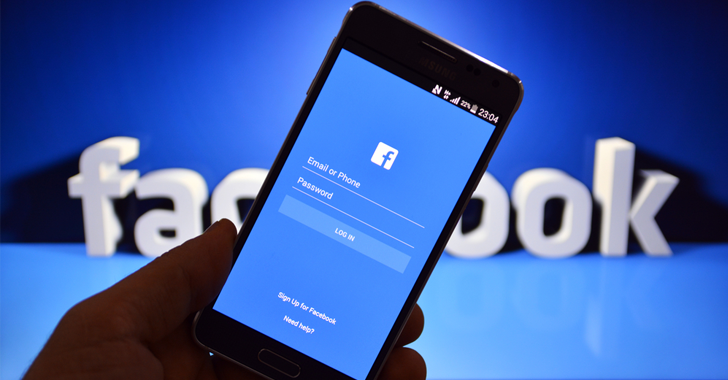 Anyhow, with the help of some good applications which you can download, you can easily know how to hack fb account with an android phone and ask for permission from the users, and as soon as the users agree to all these conditions, they will start receiving spam and other things on their facebook profile. When you grant it the permission, then all the personal details and all actions can be performed at your account in your name. With this technique for how to hack fb account within minutes, you might not get the full access to the fb account, but you surely can control their account. There are many add-ons for Mozilla Firefox and Google Chrome who are responsible for spying on a person’s online activity and with this way, you can easily hack a facebook password but let us tell you how it works. As soon as any targeted user visits a malicious web page, then they are prompted to install the certain add-on and when the add-on is installed, it can perform many hacking tasks.